MassBay maintains an open-door admissions policy as defined by the regulations of the Massachusetts Board of Higher Education, offering those who express a desire to pursue a college education the opportunity to enroll. 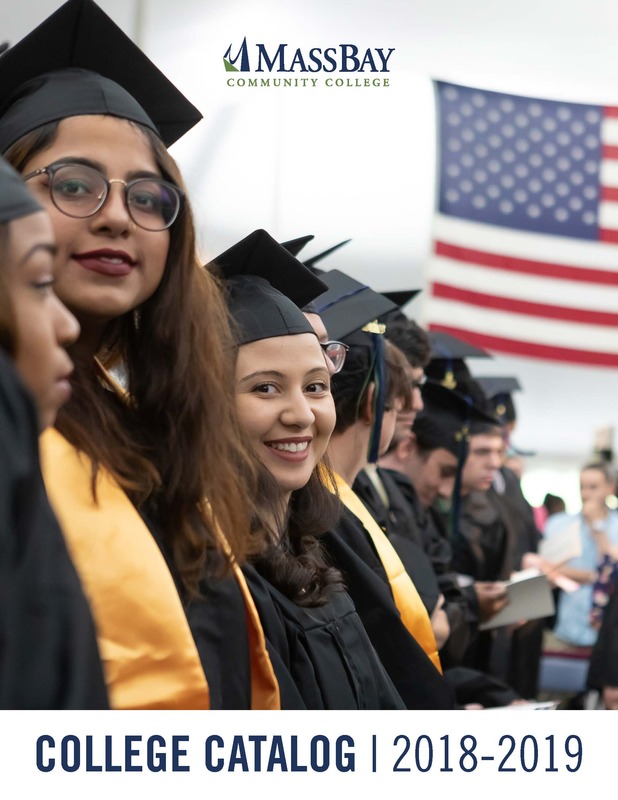 Students who have earned a high school diploma, a General Education Development Credential (GED), High School Equivalency (HiSET) certificate, or an associate degree or higher degree, are eligible for admission to MassBay. Applicants are expected to perform college level work and conduct themselves in a manner appropriate for college students. In cases where placement tests or other indicators suggest the contrary, the College reserves the right to deny admission. All associate degree or certificate-seeking students are required to complete an application to MassBay and must be assessed in their reading, writing, and mathematics skills. MassBay offers placement testing throughout the year in multiple locations. Please refer to www.massbay.edu/placementtesting for more information and to schedule a placement test. Please review the admission requirements for your program of study. Some programs, such as Automotive Technology and several Allied Health programs, including Nursing are restricted. A restricted program has certain requirements that must be completed before you will be considered for admission. Visit us at www.massbay.edu/enroll and complete your free online application. Along with your application, please submit proof of high-school graduation or equivalency. The Office of Admissions will accept one of the following documents: an official final high school transcript, a copy of your high school diploma, a copy of a GED/HiSET certificate, or an official college transcript indicating an associate degree or higher degree. If you are not applying to a Nursing or Allied Health program, you may self-certify your education credentials if you received a high school diploma or college degree from a school accredited by New England Association of Schools and Colleges (NEASC), or if you received your GED/HiSET from Massachusetts or another New England state. Home-schooled students should consult the Home School Policy in this Catalog. Students who have international documents must have these documents evaluated by an educational evaluation agency such as the Center for Educational Documentation, World Education Services, or Education Credential Evaluators. For more information, please contact the Office of Admissions at 781-239-2500. If you have earned a college degree or college credits from other accredited colleges please forward your official transcript(s) to the Admissions Office on the Wellesley Hills campus to be evaluated for transfer credit. Once accepted into a program of study, you will be expected to follow the curriculum and course requirements in place at the time of your admission. If you are continuously enrolled (i.e., with no interruption of an academic program longer than four semesters), you will be expected to fulfill the requirements for the specific program of study listed in the Catalog that was current at the time of your admission to MassBay. If you are not continuously enrolled, you are expected to meet the requirements current at the time of your readmission to MassBay. If you change your major, you are expected to follow the program requirements in effect at the time your Change of Major form is filed and processed. Complete a general admissions applicatio. Forward final high school transcript, copy of high school diploma, or GED certificate. Submit official college transcripts (if applicable). Apply for financial aid if necessary (Note: FAFSA deadlines are May 1st, and October 1st - dates may be subject to change). Make payments or arrange for payment plan. If you are interested in a restricted (or “selective admissions”) program, meet with an Admissions Counselor to review admissions requirements for the program of interest. Contact your advisor to schedule an appointment. Meet with your advisor and select your courses. Register for classes online via Bay Navigator. Search online listings and select courses. To register for placement testing, contact the Academic Achievement Center at 781-239-2620 or register online at www.massbay.edu/placementtesting. A MassBay student identification number is required to register for placement testing. To obtain an ID number, contact the Admissions Office at 781-239-2500. A full-time course load is 12 or more credits. However, it is necessary to complete more than 12 credits per semester in order to finish a degree program in the recommended time. Students may register for a maximum of 20 credits with an advisor’s signature. To register for courses that total more than 20 credits in a semester, the signature of the program’s dean is required. Registration in math or English courses requires placement exam results unless the student has been waived from the placement test by the Advising Center. Students will not be allowed to register if they have an outstanding financial obligation with the College. Students may not register for a course that has a prerequisite unless they have either completed the prerequisite or are currently enrolled in it at MassBay. If the prerequisite was completed at another school, students must submit proof of completion to the Advising Center. Students accepted to a restricted program, such as many of the health sciences programs or automotive technology programs, must obtain their program advisor’s signature to register for any courses. To obtain information on the semester schedule and class meeting times and places, please visit our website, www.massbay.edu/courses. Learn more about MassBay by attending an information session. Information Sessions are held throughout the year, so there is always one that fits your schedule. Math test waivers are available to students who can provide proof of completion, with a grade of “C-” or better, of an appropriate college-level mathematics course taken at an accredited college or university. New incoming, first-time students to MassBay who have graduated from an accredited US high school within 3 years of admissions application date may be eligible, based on high school cumulative GPA, to be placed directly into a college level math course without having to take the Math Accuplacer. Eligible students must submit their high school transcripts to the Office of Admissions no later than 10 days prior to the start of the semester. Once transcripts are submitted they will be reviewed by the college staff for eligibility. Students who submit their transcripts after the dates listed above may not be eligible for the math placement waiver. Students eligible for the Math Placement Waiver are still required to satisfy the English Placement requirement by the College as part of their enrollment process before attending new student orientation and registering for classes. Students whose overall cumulative high school GPA is 2.7 or higher may receive the Math Placement Waiver and register for an *entry college level math course, regardless of a developmental math placement with the Accuplacer. The student will be eligible to register for the College Level Math required for their program of study as specified on the curriculum sheet. High School GPAs will be considered from those who graduated from high school within 3 years of admissions application date. The Accuplacer test can place students into a higher level of college math than the GPA placement. If a student is a current high school senior, the submitted transcript must contain at least one quarter of senior grades to be reviewed for the Math Waiver. *entry college level math course - for programs that require the first math course to be one which requires a lower college level math course as a pre-requisite, like Calculus, students using the Math Waiver will be able to enter directly into Pre-Calculus, not Calculus. Recommended for first time college students and/or students who are planning to complete an Associate Degree or Certificate Program at MassBay. Explore your academic, career, and transfer goals with MassBay Academic Advisors and faculty. Meet and socialize with fellow NEW MassBay students as well as current MassBay students, faculty, and staff. Learn hands-on about MassBay’s technology, including your email, student account, and classroom tools. You will obtain your username and password and activate all of your online MassBay accounts. Learn about the extracurricular and leadership opportunities available to you. Be introduced to a wide range of support services and resources. Recommended for students who are taking prerequisite courses, or taking online only courses or non-credit courses. Please keep in mind that you may still need to visit campus to meet with an Academic Advisor and register for your courses. Become familiar with MassBay’s technology, including your email, student account, and classroom tools. Recommended for students who are a non-degree seeking student or are completing prerequisite courses for credit at another institution. Plan your first semester schedule and register for courses. ** After you register for classes, be sure to contact the help desk to have your MassBay online accounts activated. Visit www.massbay.edu/soar or email SOAR@massbay.edu or by calling 781-239-2721.